When you've got yourself a good horse, you want the world to know. Susan Friendland-Smith sure does, and through her award-winning blog, “Saddle Seeks Horse,” she shares him with the world. Friedland-Smith is the proud owner of Tiz a Knight, or “Knight,” a son of dual Breeders' Cup Classic winner Tiznow. Tiz a Knight was a maiden special weight winner at Santa Anita before becoming the feature of one of the horse world's most popular equestrian lifestyle blogs. While Knight is the answer to the blog's title query, “Saddle Seeks Horse,” he was not the impetus for Friedland-Smith's foray into the world of blogging. A middle school teacher by trade, as well as a wife and a mom, Friedland-Smith was in the midst of major life changes when the unthinkable happened. Her “horse of a lifetime,” DC, succumbed to a severe bout of colic. “DC was my heart horse. I got him in my early 20s and had him 16 years. I was just coming off moving across the country to California, getting married and becoming a step-mom and through everything he was my constant. Then, suddenly, he was gone,” said Friedland-Smith. After taking several years to grieve, heal and focus on the new duties in her life, Friedland-Smith began getting back into riding, first taking lessons and then beginning the process of looking for another horse to call her own. 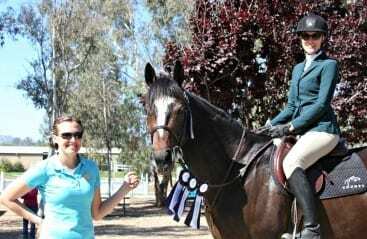 After looking at several horses that, for one reason or another, were not the right fit for her, a friend gave her the name and number of someone who often had retired racehorses looking for off-track homes. When Friedland-Smith called and described what she was looking for, the woman said she thought she might have just the right horse. Though her saddle hadn't found its new horse, Friedland-Smith had. As the two progressed through the first days and weeks together, she became more and more confident in the decision she had made. That confidence exponentially skyrocketed the first day she hacked him by herself. Naturally that experience, along with so many others since then, became content for her blog, and her fans love it. Together, Friedland-Smith and Knight do many of the typical things equestrians do, like horse shows, riding lessons and trail rides, and she talks about those experiences in a relatable way that keeps readers coming back for more. 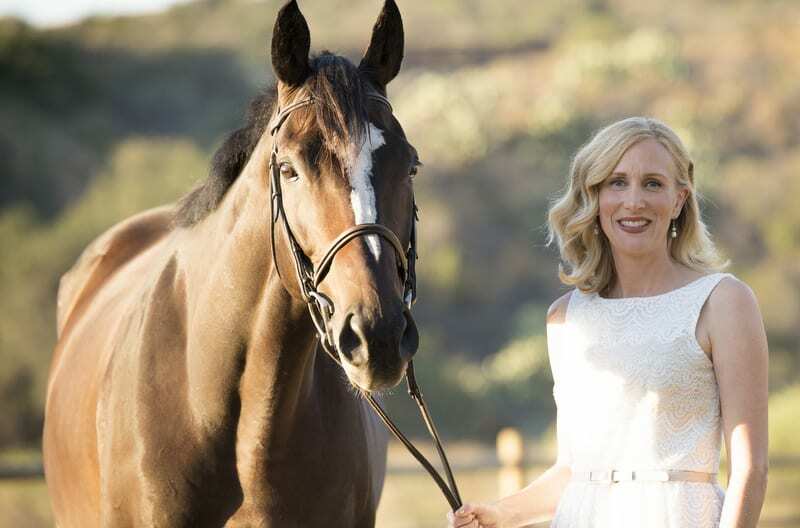 Thanks to Friedland-Smith's way with words, they also get to do a number of fun and educational things most equestrians don't get to do, like take part in photo shoots, try new products for possible reviews and meet celebrities. Recently, one of Friedland-Smith's blog entries went viral, getting more than 500 shares and reaching well over 100,000 people. It was about a scary situation that happened to her and could easily happen to so many others. My gelding intended to bite on the stirrup iron my foot was in, but the iron bit back. It caught on the side of his D-ring snaffle. He then panicked and did about two donuts before I flew off and landed on my right thigh and elbow. I hit hard and I was down. The impact stunned me to the point I couldn't immediately react. …I witnessed my scared horse spinning and spinning like a crazed top. Knight traveled about fifty feet away, down a small incline until he crashed, landed on his side, then back. His four hooves faced the sky. Thankfully, the impact of Knight's fall dislodged the bit from the stirrup iron and he was ultimately unharmed, but the story could have ended much differently. Through her blog, Friedland-Smith shared the harrowing tale, and in return others shared similar experiences, prompting her to pen a follow-up post featuring advice, cautionary tales and lessons learned from readers. This entry was posted in Aftercare Spotlight, Horse Care, NL List and tagged Aftercare Spotlight, Cosequin Presents Aftercare Spotlight, equine welfare, horse care, Horse Welfare, Jen Roytz, Saddle Seeks Horse, Susan Friedland-Smith, Thoroughbred aftercare, thoroughbred retirement by Jen Roytz. Bookmark the permalink.